In the early 1990's, Beth El's founders wanted to create a cornerstone at the beach for the Jewish community and provide a place of worship and socialization that welcomed all, where common values and new traditions could find a home. Over the years, that small group built a beautiful building and set down the roots for a vibrant Jewish presence at the beaches. Beth El currently includes members from Atlantic Beach, Neptune Beach, Jacksonville Beach, Palm Valley, Ponte Vedra Beach, Amelia Island, St. Augustine, west of the beaches and other parts of Jacksonville. Call 904-273-9100 for more info visit us online at bethelbeaches.org. For more than a century, Congregation Ahavath Chesed has been the home of Reform Judaism here in Northeast Florida. In 1867 the “Israelites of Jacksonville” met to form a Jewish congregation. Congregation Ahavath Chesed was formally chartered in 1882, with Rabbi Max Moses officiating at the dedication of the synagogue on September 8th of that year. Fast forward to the 21st century and we are a congregation composed of 700+ families that actively participate in Jewish life. We worship, learn and work together to help make the world a better place. Find out more by going to thetemplejacksonville.org. Etz Chaim is an Orthodox Shul dedicated to enriching the community through outreach, education and events. We are a non-profit organization that runs on donations from generous individuals who support our causes. Because of the dedication and contribution of our Rabbis, members, volunteers, lay leaders and professional staff we have a thriving kehillah today and we continue to have innovative programming which is sure to continue. ​Find out more by calling 904-262-3565 or by visiting etzchaim.org. As a large conservative synagogue, the Jacksonville Jewish Center offers a diverse range of opportunities for spiritual growth, Jewish education and communal involvement commensurate with our size. The Center strives, however, to think of itself as a close-knit family. We share in one another's moments of joy, and offer comfort and support in times of tragedy. "The Center" is a multi-generational congregation which spans the better part of a century. At the same time, we are blessed with numerous families who have relocated to Jacksonville from around the country and other parts of the globe. As Florida's First Coast continues to grow in population, we remain committed to the Jewish precept of welcoming all who enter our doors. Find out more by calling 904-292-1000 or by going to jaxjewishcenter.com. During the summer of 1993 two couples met at a downtown concert at which time both lamented the absence of a Reform Jewish Congregation in the St. Augustine. Together, they planned to visit congregations in adjoining communities with the hope of finding a congregation they would be comfortable in joining. It soon became apparent that such a congregation did not exist and what started in jest, “We may have to start our own congregation!,” started to become a reality. 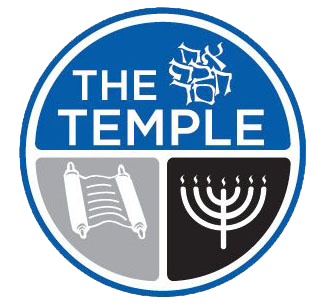 The first service was held in December, 1993, at a nursery school and by Feb. 1994, the group moved to the Unitarian Fellowship Hall when the name Temple Bet Yam ("Temple By The Sea”) was chosen, and 14 families committed themselves to become founding members. As we look at Temple Bet Yam today, we have more than 127 family members from not only the St. Johns County community but from surrounding counties. Find out more about our congregation by calling 904-819-1875 or by logging onto templebetyam.org. Chabad of Northeast Florida has been tirelessly reaching out – sharing the warmth and joy of our rich Jewish heritage – for 21-years through a colorful array of innovative programs and activities that cross all lines of age, gender, affiliation and knowledge. Within the past several years, Chabad has increased its effectiveness exponentially by adding four additional satellites to its original center in Madarin. Find out more about our Chabad by calling 904-262-6641 or by logging onto chabadjacksonville.org. Filling the void is certainly one of the main purposes of Chabad. If you need or want anything Jewish; or something is missing in your Jewish life; or you simply want a place to express your soul, Chabad is waiting for you with open arms and love. At Chabad you will find a home of wisdom, understanding, enthusiasm, and knowledge for every Jew regardless of background or affiliations. At Chabad, there is a very special balance between utilization of the mind combined with smiles and hugs because we believe that elevation of the mind helps feed the soul. Find out more about our Chabad by calling 904-543-9301 or by logging onto chabadbeaches.com. 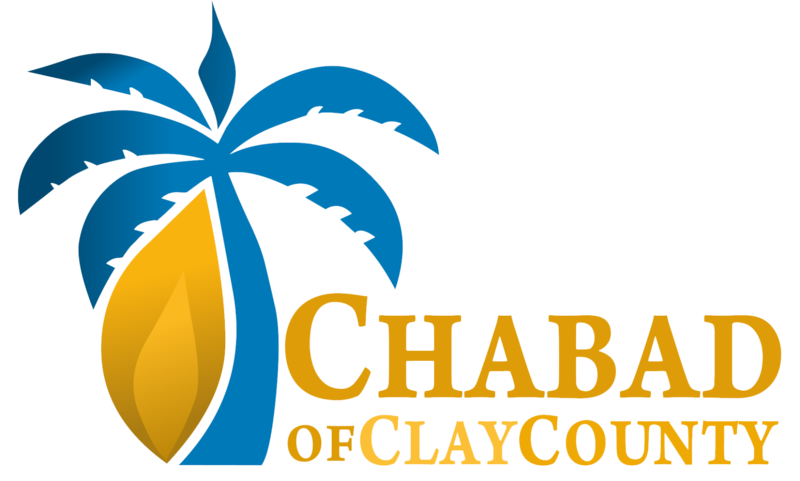 At Chabad of Clay County, our mission is to strengthen the Jewish Community in Clay County by promoting Jewish pride, study and celebration, and to provide the spiritual needs of all Jews in the community - regardless of their background or affiliation. It is our goal to establish a warm and traditional community center where everyone is made to feel welcome and comfortable. Find out more about our Chabad by calling 904-460-7020 or by logging onto jewishclaycounty.com. 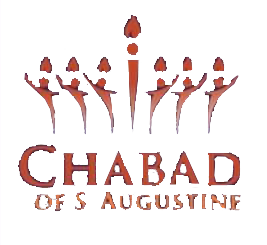 At Chabad of St. Augustine, our mission is to strengthen the Jewish Community in the nation's oldest city by promoting Jewish pride, study and celebration, and to provide the spiritual needs of all Jews in the community - regardless of their background or affiliation. We are a warm and joyous center for Jewish life and learning where everyone is made to feel welcome and comfortable. Find out more about our Chabad by calling 904-521-8664 or by logging onto chabadsaugustine.com. Serving the St. Johns, Nocatee, and World Golf Village Jewish Communities. We invite you to explore our sites and join in our many programs, celebrations, and events. The mission of the Jewish Life Center is to enhance Jewish awareness, pride and education for all Jews regardless of age, affiliation, knowledge or level of observance, providing a non-judgmental community environment based on unconditional love and acceptance. Find out more about our Chabad by calling 904-701-4422 or by logging onto jewishsjohnscounty.com. Chabad of the Southside is for you because families of all backgrounds feel comfortable and welcome. Our school enjoys a well-earned reputation as a trendsetter in creative Jewish education for children ages 5- 13. Chabad brings together Jewish students from across Jacksonville promoting Judiasm and providing a place where every student feels at home. Find out more about our Chabad by calling 904-646-4434 or by logging onto southsidechabad.com.